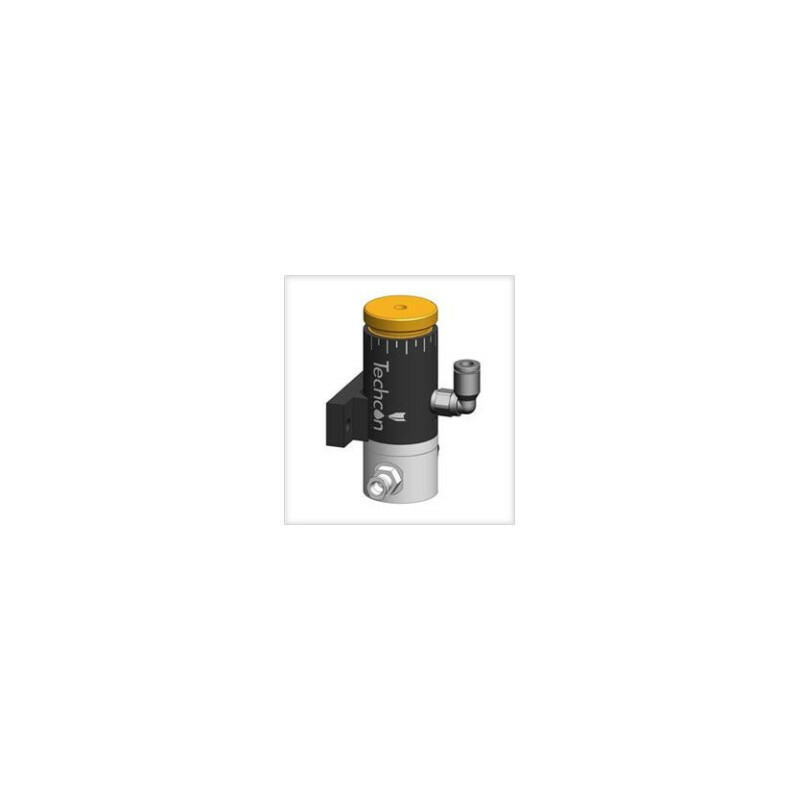 Diaphragm Valves are designed to dispense low to medium viscosity materials with precision accuracy over a wide range of shot and bead sized down to a fraction of a micro liter. 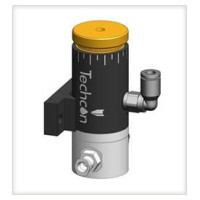 An internal spring return makes the valves fully adaptable for use with Techcon Systems time/pressure controllers. A short opening stroke provides extremely fast, positive shut-off. An external stroke control adjustment makes it easy for the operator to fine tune shot sizes. The compact design allows for mounting flexibility and easy integration into automated applications. A stainless steel fluid housing is compatible with a variety of chemicals; especially UV cure adhesives, resins and lacquers used in the manufacture of DVDs and CDs. The valves are low maintenance, easy-to-use, easy-to-maintain with user replaceable spare parts. Horizontally mounted configurations and hand-held diaphragm valves are also available. 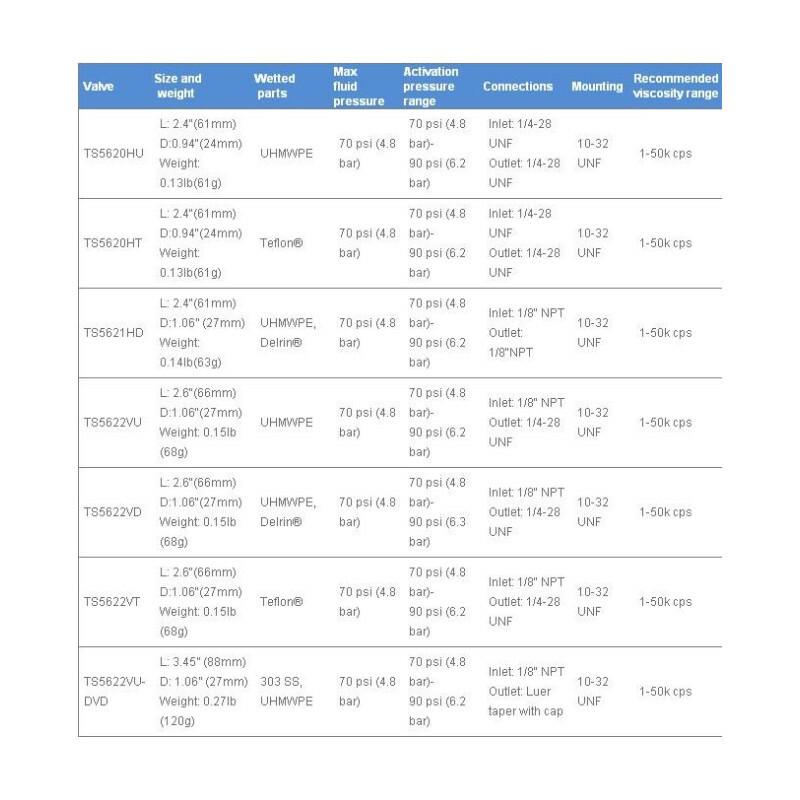 Fluid housing and diaphragm available in FDA-compliant Ultra High Molecular Weight Polyethylene (UHMWPE) for most applications. A Teflon version for chemical compatibility and a Delrin version for UV-curables are also available. The valves are easy to use and maintain with user replaceable spare parts. Prosím, vyplňte všechna pole. Prosím, vyplňte prázdné pole. I agree with the Legal terms and I read Ochrana dat. If you no longer wish to receive our e-mails in the future, you can opt out of them at any time via a link at the end of each newsletter or send us an e-mail at ulbrich@ulbrich.cz. Your information will be processed in accordance with legal regulations. Budeme Vás kontaktovat co nejdříve!